Facebook has put off its plan to allow developers access to users’ phone numbers and home addresses. The company posted an update on its Developer Blog Tuesday morning, saying that it got “useful feedback” about the decision and that it would be making changes so that it’s clearer when users are about to share such sensitive info. As a result, the “feature” is being turned off until a better solution is found. Privacy advocates got up in arms after the company announced that developers would be able to access a whole new level of personal info through its API, as long as the users gave them permission. Security firm Sophos issued a solemn warning on its blog about the move; the firm pointed out that Facebook app developers already manage to trick users into giving them access to personal data, and the situation will only get worse with real addresses and phone numbers in the mix. 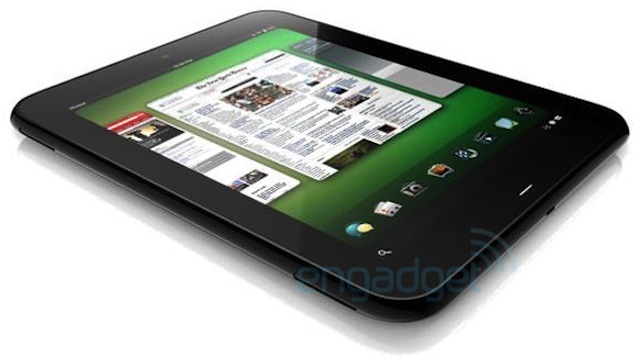 The release date of one of HP’s upcoming webOS tablets, codenamed Opal, popped up on Engadget this afternoon courtesy of an anonymous tipster, along with renders of a second model codenamed Topaz. Some of the Topaz’s specs, like a front-facing camera and buttonless bezel, could be seen from the renders, while a release chart for Opal indicates most models will be out by September of this year. Rendered front and back shots of the 9-inch screen Topaz tablet show it will have a microUSB outlet, front-facing camera, and no buttons on the bezel or sides. Engadget speculates that the HP tablets will have a three-speaker arrangement, with two on the left side and one on the right, for stereo sound in both landscape and portrait mode.